The porcelain veneer solution is a cosmetic dental solution that has brightened many smiles in Fort Myers. It is a simple, minimally invasive procedure that creates a uniform natural look. Porcelain veneers involve only the teeth visible when smiling. It is a cost-effective approach to smile makeovers. Patients appreciate the minimally invasive procedure’s practicality limited discomfort. It is a great cosmetic treatment solution for a new more beautiful smile. Imagine taking a sheet of beautiful porcelain material and blanketing your teeth with it. It will cover up problem areas and present a uniform natural looking smile. Porcelain veneers are an advanced cosmetic procedure that gently masks areas of concern with the durability of natural tooth enamel. Patients who seek to create a beautiful smile start off with a consultation. Dr. Mitchell will examine the oral health and condition of the patient’s current smile. 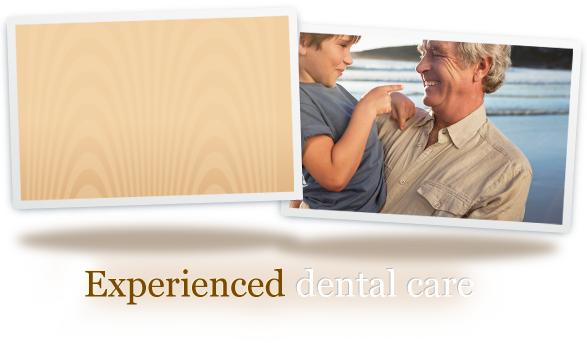 It is important to Mitchell Dentistry to perform the best treatment for each individual. If a patient is not the best candidate for porcelain veneers, Dr. Mitchell will explore additional options. For those who will continue on with the cosmetic solution, Dr. Mitchell will take impressions and with patient input, select the desired shade color. The second visit begins with a cleaning. Dr. Mitchell will then prepare the teeth for bonding. The bonding agent is applied to the teeth and the porcelain veneers are then placed. A special light beam is used to secure the bond to permanently set the tooth and veneer. The end result is a beautiful natural looking smile with long-lasting results. Dr. Mitchell prepares careful at-home care instructions for patients to maintain their beautiful smile. A proper brushing and flossing regimen is important. It is very important to attend routine dental check-ups for early detection of any problems. Contact Dr. Mitchell to discuss veneers and restorative dentistry today! Take the first step to recreating a new smile with a scheduled consultation. Dr. Mitchell will listen to patients’ concerns and evaluate the condition of their current smile. A complete diagnosis is given to optimize oral health and a treatment plan is developed to cosmetically recreate a natural looking smile. Contact Mitchell Dentistry today and take the first step towards a more confident smile!